Match ends, FC Schalke 04 0, Borussia Mönchengladbach 2. 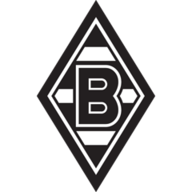 Second Half ends, FC Schalke 04 0, Borussia Mönchengladbach 2. Corner, Borussia Mönchengladbach. Conceded by Salif Sané. Oscar Wendt (Borussia Mönchengladbach) wins a free kick in the defensive half. Foul by Suat Serdar (FC Schalke 04). Goal! FC Schalke 04 0, Borussia Mönchengladbach 2. Florian Neuhaus (Borussia Mönchengladbach) left footed shot from the centre of the box to the high centre of the goal. Assisted by Thorgan Hazard with a through ball. Offside, FC Schalke 04. Matija Nastasic tries a through ball, but Weston McKennie is caught offside. Goal! 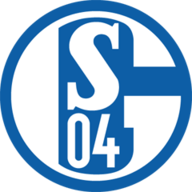 FC Schalke 04 0, Borussia Mönchengladbach 1. Christoph Kramer (Borussia Mönchengladbach) left footed shot from outside the box to the top right corner. Assisted by Thorgan Hazard. Offside, Borussia Mönchengladbach. Thorgan Hazard tries a through ball, but Matthias Ginter is caught offside. Substitution, Borussia Mönchengladbach. Patrick Herrmann replaces Jonas Hofmann. Florian Neuhaus (Borussia Mönchengladbach) wins a free kick on the left wing. Foul by Salif Sané (FC Schalke 04). Michael Lang (Borussia Mönchengladbach) wins a free kick in the defensive half. Foul by Weston McKennie (FC Schalke 04). Substitution, Borussia Mönchengladbach. Florian Neuhaus replaces Denis Zakaria. Foul by Michael Lang (Borussia Mönchengladbach). Bastian Oczipka (FC Schalke 04) wins a free kick in the defensive half. Substitution, FC Schalke 04. Rabbi Matondo replaces Sebastian Rudy. Attempt saved. Lars Stindl (Borussia Mönchengladbach) right footed shot from outside the box is saved in the top right corner. Nabil Bentaleb (FC Schalke 04) is shown the yellow card for a bad foul. Lars Stindl (Borussia Mönchengladbach) wins a free kick in the attacking half. Foul by Nabil Bentaleb (FC Schalke 04). Attempt saved. Thorgan Hazard (Borussia Mönchengladbach) left footed shot from the centre of the box is saved in the centre of the goal. Assisted by Oscar Wendt with a cross. Attempt missed. Denis Zakaria (Borussia Mönchengladbach) header from the centre of the box is close, but misses to the left. Assisted by Michael Lang with a cross. Substitution, Borussia Mönchengladbach. Christoph Kramer replaces Tobias Strobl. Foul by Matthias Ginter (Borussia Mönchengladbach). Weston McKennie (FC Schalke 04) wins a free kick in the defensive half. Attempt missed. Thorgan Hazard (Borussia Mönchengladbach) right footed shot from outside the box is too high from a direct free kick. Substitution, FC Schalke 04. Ralf Fährmann replaces Yevhen Konoplyanka. Alexander Nübel (FC Schalke 04) is shown the red card. Thorgan Hazard (Borussia Mönchengladbach) wins a free kick in the attacking half. Foul by Alexander Nübel (FC Schalke 04). Lars Stindl (Borussia Mönchengladbach) wins a free kick in the defensive half. Attempt blocked. Bastian Oczipka (FC Schalke 04) left footed shot from outside the box is blocked. Assisted by Mark Uth. Hand ball by Lars Stindl (Borussia Mönchengladbach). Offside, Borussia Mönchengladbach. Thorgan Hazard tries a through ball, but Lars Stindl is caught offside. Alassane Pléa (Borussia Mönchengladbach) wins a free kick on the left wing. Corner, FC Schalke 04. Conceded by Denis Zakaria. Tobias Strobl (Borussia Mönchengladbach) wins a free kick in the defensive half. Attempt saved. Alassane Pléa (Borussia Mönchengladbach) right footed shot from outside the box is saved in the centre of the goal. Assisted by Matthias Ginter. Attempt missed. Yevhen Konoplyanka (FC Schalke 04) right footed shot from outside the box is close, but misses to the left. Assisted by Suat Serdar. Attempt blocked. Mark Uth (FC Schalke 04) left footed shot from the centre of the box is blocked. Assisted by Suat Serdar. Attempt saved. Denis Zakaria (Borussia Mönchengladbach) right footed shot from outside the box is saved in the bottom left corner. Attempt missed. Jonas Hofmann (Borussia Mönchengladbach) right footed shot from outside the box is too high. Assisted by Matthias Ginter following a corner. Second Half begins FC Schalke 04 0, Borussia Mönchengladbach 0. First Half ends, FC Schalke 04 0, Borussia Mönchengladbach 0. Attempt saved. Matthias Ginter (Borussia Mönchengladbach) header from the centre of the box is saved in the top left corner. Assisted by Thorgan Hazard with a cross. Attempt blocked. Matthias Ginter (Borussia Mönchengladbach) header from the centre of the box is blocked. Assisted by Thorgan Hazard with a cross. Attempt blocked. Jonas Hofmann (Borussia Mönchengladbach) right footed shot from outside the box is blocked. Corner, Borussia Mönchengladbach. Conceded by Yevhen Konoplyanka. Tobias Strobl (Borussia Mönchengladbach) is shown the yellow card for a bad foul. Foul by Tobias Strobl (Borussia Mönchengladbach). Sebastian Rudy (FC Schalke 04) wins a free kick in the attacking half. Attempt missed. Daniel Caligiuri (FC Schalke 04) right footed shot from outside the box is close, but misses to the left from a direct free kick. Matthias Ginter (Borussia Mönchengladbach) is shown the yellow card for a bad foul. Mark Uth (FC Schalke 04) wins a free kick in the attacking half. Offside, Borussia Mönchengladbach. Lars Stindl tries a through ball, but Thorgan Hazard is caught offside. Attempt saved. Matija Nastasic (FC Schalke 04) header from the centre of the box is saved in the bottom right corner. Assisted by Daniel Caligiuri with a cross. Nabil Bentaleb (FC Schalke 04) wins a free kick in the attacking half. Attempt missed. Weston McKennie (FC Schalke 04) header from the centre of the box misses to the right. Assisted by Bastian Oczipka with a cross following a set piece situation. Foul by Denis Zakaria (Borussia Mönchengladbach). Bastian Oczipka (FC Schalke 04) wins a free kick on the left wing. Offside, FC Schalke 04. Bastian Oczipka tries a through ball, but Mark Uth is caught offside. Attempt blocked. Yevhen Konoplyanka (FC Schalke 04) right footed shot from the left side of the box is blocked. Assisted by Bastian Oczipka. Foul by Jonas Hofmann (Borussia Mönchengladbach). Sebastian Rudy (FC Schalke 04) wins a free kick in the defensive half. Attempt missed. Tobias Strobl (Borussia Mönchengladbach) right footed shot from outside the box misses to the left. Assisted by Lars Stindl. Thorgan Hazard (Borussia Mönchengladbach) wins a free kick on the left wing. Foul by Sebastian Rudy (FC Schalke 04). Attempt blocked. Matija Nastasic (FC Schalke 04) left footed shot from the left side of the box is blocked. Assisted by Bastian Oczipka. Hand ball by Oscar Wendt (Borussia Mönchengladbach). Corner, Borussia Mönchengladbach. Conceded by Alexander Nübel. Attempt saved. Denis Zakaria (Borussia Mönchengladbach) right footed shot from the centre of the box is saved in the bottom left corner. Assisted by Lars Stindl with a through ball. Attempt missed. Mark Uth (FC Schalke 04) header from the centre of the box is high and wide to the left. Assisted by Yevhen Konoplyanka with a cross. Lars Stindl (Borussia Mönchengladbach) hits the bar with a left footed shot from outside the box. Assisted by Denis Zakaria. Attempt saved. Tobias Strobl (Borussia Mönchengladbach) right footed shot from outside the box is saved in the centre of the goal. Attempt missed. Daniel Caligiuri (FC Schalke 04) right footed shot from outside the box is close, but misses to the left. Foul by Lars Stindl (Borussia Mönchengladbach). Nabil Bentaleb (FC Schalke 04) wins a free kick in the defensive half. Corner, Borussia Mönchengladbach. Conceded by Daniel Caligiuri. Offside, FC Schalke 04. Alexander Nübel tries a through ball, but Suat Serdar is caught offside.